Business Studies Teacher needed in Qatar for the next academic year. Register FREE now. Earn a HIGH TAX-FREE salary with benefits. Excellent school to work in! Female ICT Teacher needed for a TOP performing school in Doha, Qatar. 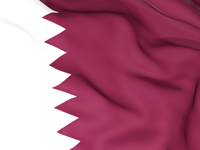 Register FREE now to secure your next ICT job in Qatar. TAX FREE salary with benefits! Maths Teachers needed for an Islamic Girls School in Qatar. Register FREE now. Salary up to 13,000 QAR per month plus housing and benefits! Teacher of Physics needed for a school in Qatar. Register for FREE now to secure and IMMEDIATE interview to commence for the next academic year. TAX-FREE salary with benefits! Female Biology Teacher needed in Qatar. Islamic faith school delivering the UK national curriculum is hiring now for an August start. Offering a TAX-FREE salary with benefits. Female English Teachers needed in Qatar. Amazing Islamic school for girls looking for qualified and experienced female teachers. Islamic faith school. Offering A TAX-FREE environment. GREAT environment to teach in! Female early years teaching jobs needed in Doha for the next academic year. Apply early to get an interview to secure your next teaching job abroad. Offering a TAX-FREE salary with benefits.